Power Station paintings (more about those in a later post). 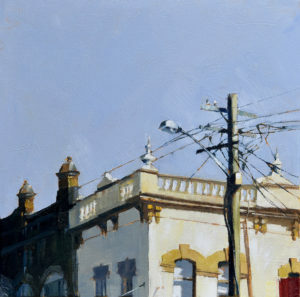 I’m currently working on a new series of slightly larger rooftop paintings as well. These are all 30 x 30 cm and will be framed. and untouched by renovation, so preserve the “quaintness” of the village. We see them every day but we don’t really look at them. on show later in the year. Details will be posted soon.